Sometimes the simplest interventions can have the biggest impact. In October 1935, US Army Air Corps brass gathered at an airfield in Dayton, Ohio. They’d come to see two aircraft builders pit their planes against each other in a series of trials, with the best-performed aircraft getting its builder a lucrative contract for new long-range bombers. In theory, the two rivals, Boeing Corporation and Martin & Douglas, had an equal chance of winning the contract. But in reality, the result seemed a foregone conclusion. The smaller Martin & Douglas plane just couldn’t compete with Boeing’s bigger, more powerful Model 299. This imposing aircraft boasted a 103-foot wingspan, four engines (the norm was two), five times the specified number of bombs, and twice the range of its predecessors. Rumour had it that the army had pretty much already decided to order 65 of what one newspaperman had dubbed ‘the flying fortress’. The Model 299, carrying five crew members, made for an impressive sight as it taxied onto the runway and then roared off to rise gracefully into the sky. But as the army chiefs and manufacturing executives looked on, the plane stalled at 300 feet, tipped sharply and crashed to the ground. Two of the crew were killed, including the pilot, Major Ployer P. Hill. An investigation found that Major Hill had been preoccupied with the many procedures required to fly the complex new plane, from monitoring the variable oil–fuel mix in each engine to adjusting the pitch of the constant-speed propellers. Because of this, he’d forgotten to release the rudder and elevator controls. But while the tragedy was blamed on ‘pilot error’, the implication was that the Model 299 was too complicated to be safe – as one reporter put it, it was ‘too much airplane for one man to fly’. The army contract was awarded to Martin & Douglas; Boeing’s business was ruined almost to the point of bankruptcy. But some in the Army Air Corps still thought the Model 299 was the better aircraft. So a group of test pilots got together to work out how further accidents could be avoided. They ruled out more training – Major Hill had been in charge of flight testing and couldn’t have been more experienced. Instead, they came up with a stunningly simple idea. Previously, flying a plane had been fairly easy for a pilot to manage. But aeronautical advances now meant there were too many things going on in the cockpit for one person to handle. What was needed, the test pilots decided, was a checklist. The pilots kept their checklist straightforward but comprehensive, including even the most obvious actions – release the brakes, close all doors and windows, unlock the elevator controls, and so on. Everything a pilot needed to remember was there, on a single index card. And it did the trick. Using their checklist, the pilots flew the Model 299 for a total of 1.8 million miles without incident. 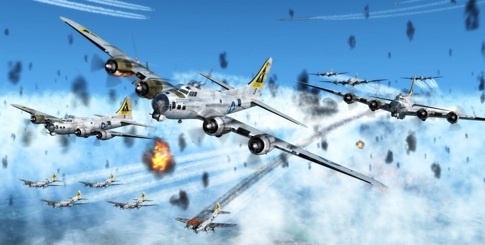 The Army Air Corps subsequently ordered thousands of the flying fortresses, renaming them B-17s and using them to devastating effect during World War 2. Sourced from Atul Gawande (2011), The Checklist Manifesto: How to Get Things Right, Picador, New York.